Gee, only another 15 years and some of his works will finally start to enter the public domain. Have I complained recently about how insanely restrictive American copyright law is? In the rest of the world, the standard is that books go into the public domain 50 years after the death of the author, in the United States, the rule is 75 years. So ironically, there are works by foreign authors which are protected by copyright in the United States, even though, in the native countries, the works have been in the public domain for years. What also is insane is that it is not only the 60th anniversary of his death, but 2017 marks the 100 year anniversary of his conversion to the church and there has been so little to commemorate this man. 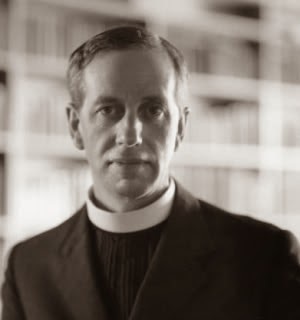 Ronald Knox is an author who is unfortunately largely forgotten. Another author who used to very popular and influential but has been almost completely forgotten is Sir Arnold Lunn. At one time, he was probably the most popular and influential Catholic apologist in the English speaking world. He was the Catholic CS Lewis. Indeed, CS Lewis actually recommended one of his apologetic works in one of his last interviews, namely his book The Third Day, which is a critique of modern historical critical Biblical scholarship. He was also an expert mountain climber and skier. Today, all of his books are out of print except a handful of books about mountain climbing. It's sad really.